Money! It’s something that we want and need in order to maintain our daily existence. Money is also something that for the most of us we don’t have enough of it. Regardless of social stature, career and education, money is a basic need for everyone. However, most people don’t appreciate how money works and how you can make the most of it. The best time to learn about money is at a young age. 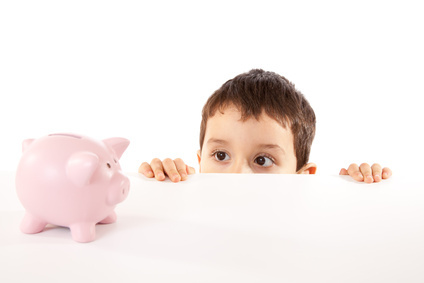 Kids generally are willing to learn about money at a young age and these skills, concepts and ideas will carry with them for the rest of their lives. From an early age, kids enjoy learning about money, counting money and other activities that teaches them. At an older age, children can learn about saving, budgeting and eventually older teenagers can start learning about borrowing and the dangers with abusing credit. History of Paper Money – a brief historical look at the changes in money and paper money throughout time. History of Money for Kids – useful resource for kids providing an educational look at the history of money. Teaching Kids to Count – helpful suggestions for parents to help teach kids how to count. Fun Counting Activities – useful information and activities that can be used to assist in teaching kids counting methods. Kids Counting Games – fun and educational games from PBS Kids to help children learn how to count. Math Games and Activities for Kids – informative website proving a series of games and activities for pre-school and elementary aged children. Online Math Games – games that can help kids learn to count as well as introducing simple math concepts. Elementary Economics – activities and lesson plans for students in grades 3 – 6 to learn concepts of economics and money. Money Worksheets and Lesson Plans – useful resources to help teach elementary aged students about money. Practical Money Skills – information for educators to help teach various concepts about money to elementary aged students. Math Games – fun games that can be used to teach math and money concepts to students. Money for Educators – government information to help educators teach money concepts and skills to students. Financial Activities for Kids – information on money is presented to children in a fun and educational manner. Money Management – useful information on money with activities and games for kids. Money and Stuff – useful information on a variety of topics surrounding money for teenagers and parents. Teaching Children About Money Management – lesson plans, information and suggestions on how to provide teens with money management concepts. Money Management for Teens – information for teens with help in becoming a smarter financial consumer. Teens and Money – site providing information and knowledge on financial topics to help now and in the future. Finances and money are topics that are important for kids now, but especially in the future. The path of being a smart financial consumer can start with saving your allowance to buy clothes, toys or video games. But it will only be a few short years when the decisions will be on credit cards, buying cars and eventually buying houses. The earlier children learn about the importance of smart money decision, the better off they will be.